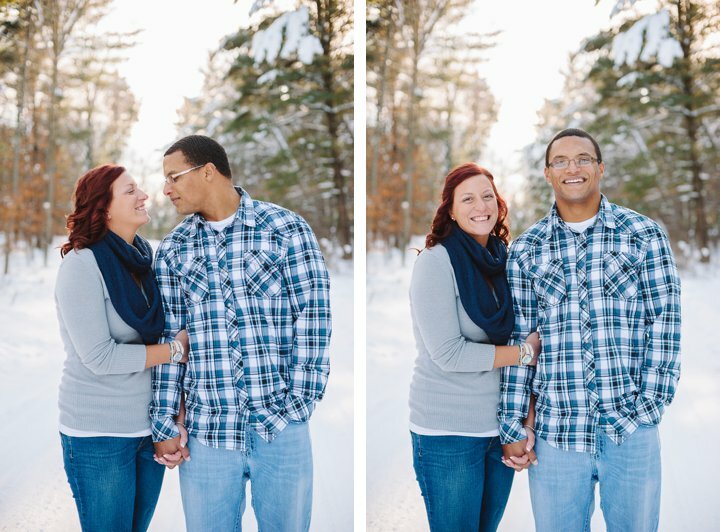 Erin and CJ met in college in the south. 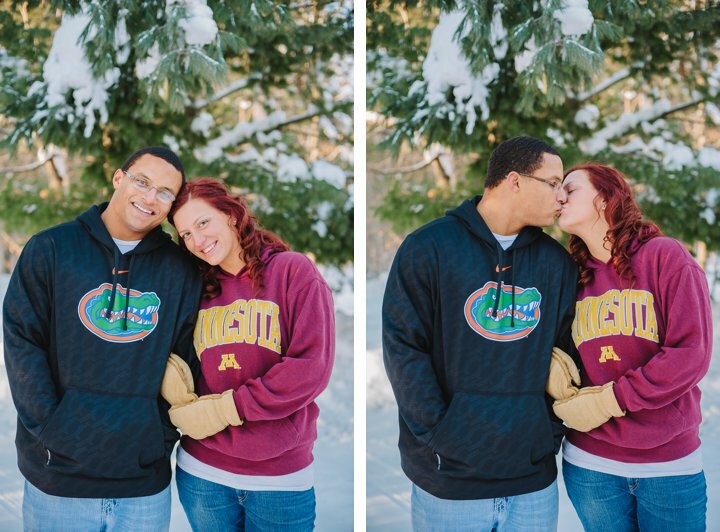 CJ is from Florida and Erin is from Minnesota, and they are planning a wedding for 2015. 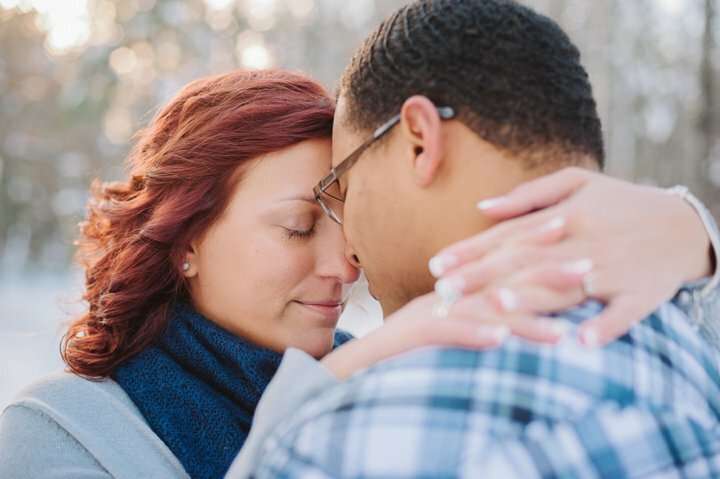 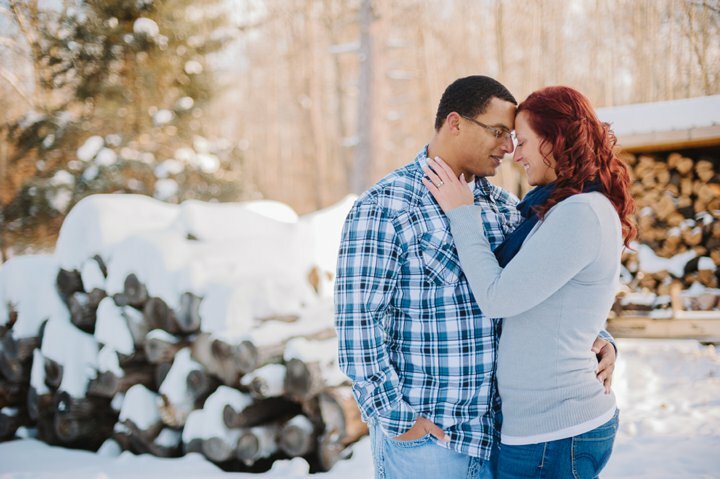 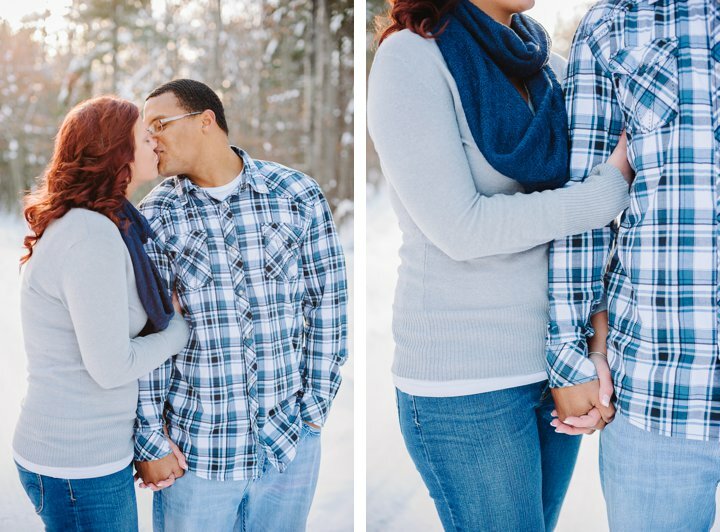 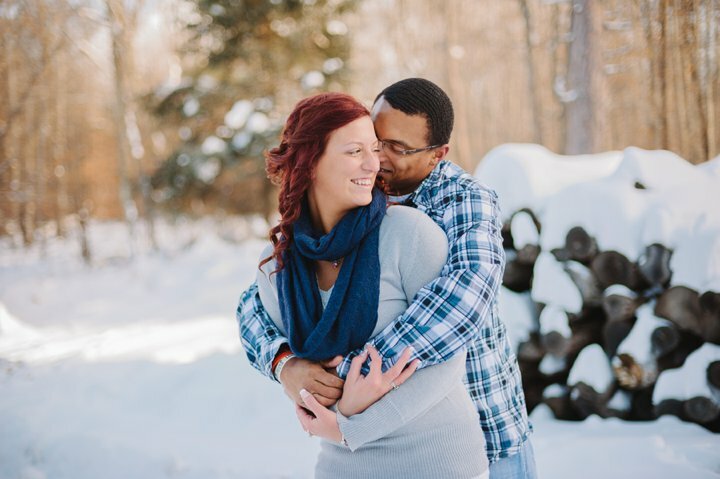 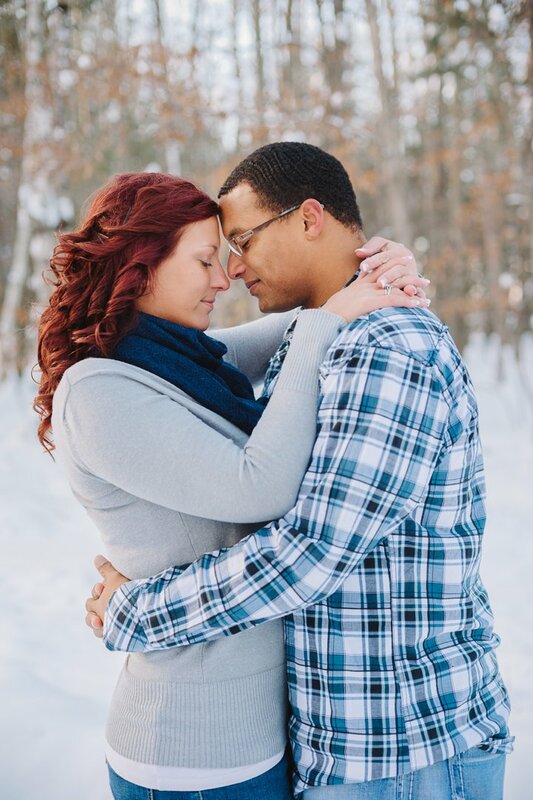 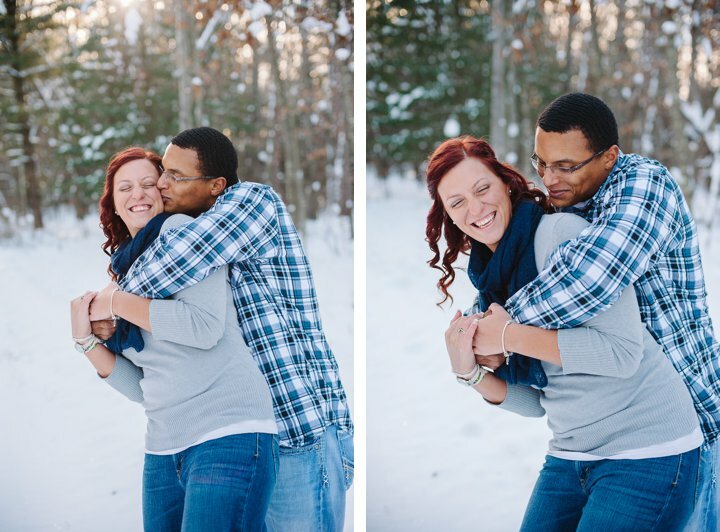 While home in Minnesota for Christmas, they decided to take advantage of the snow and have a winter engagement session. 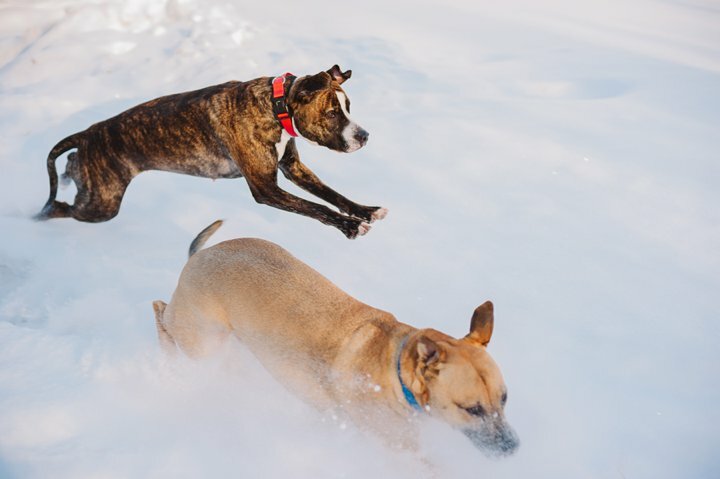 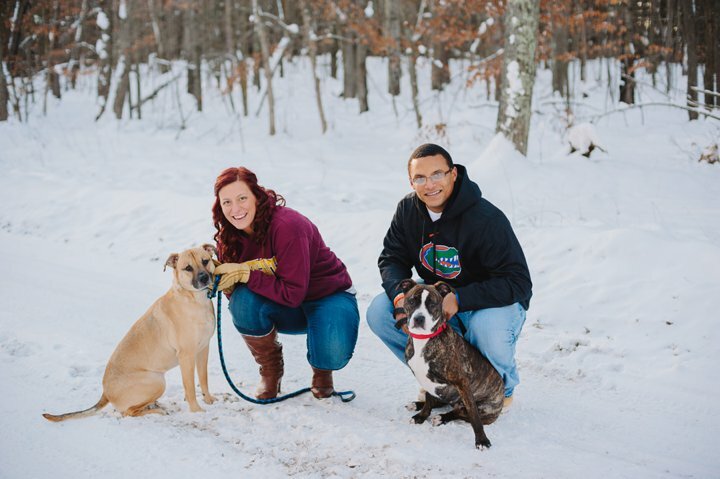 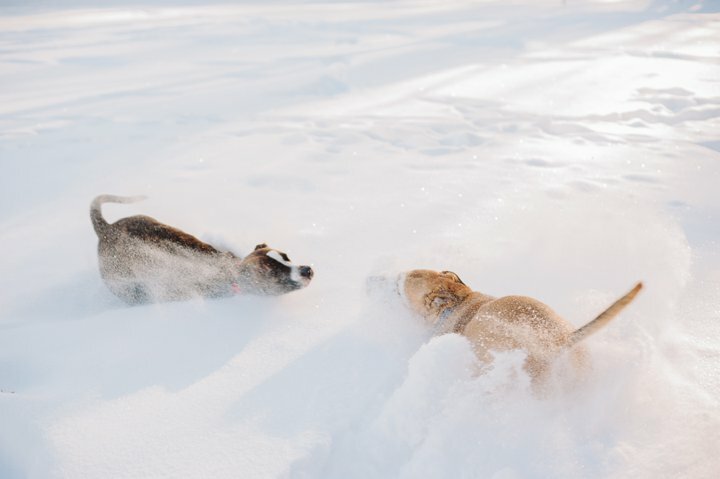 They, along with their two dogs, were great sports with the 10 degree weather and blinding white snow. 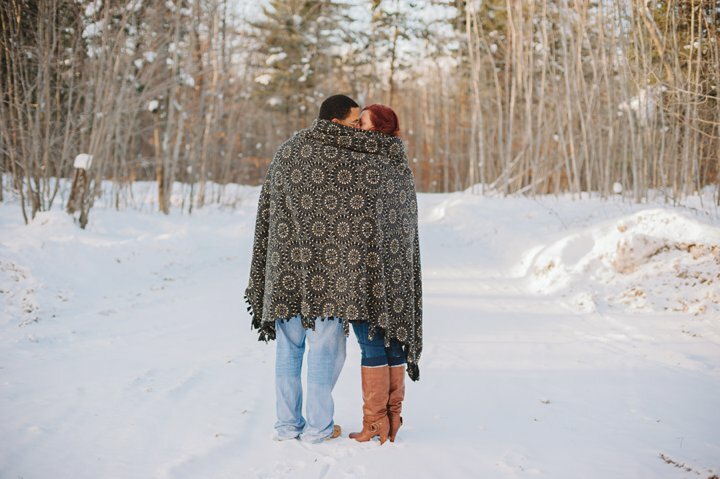 It was the perfect winter afternoon, complete with golden sunshine. 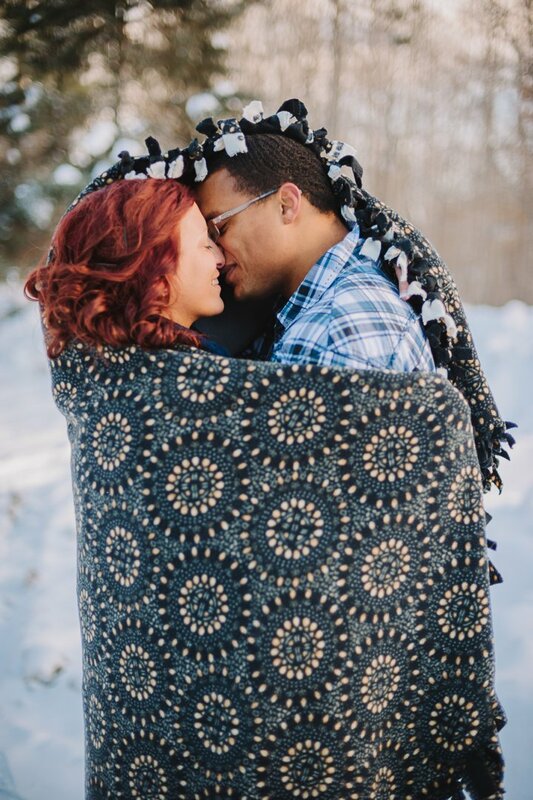 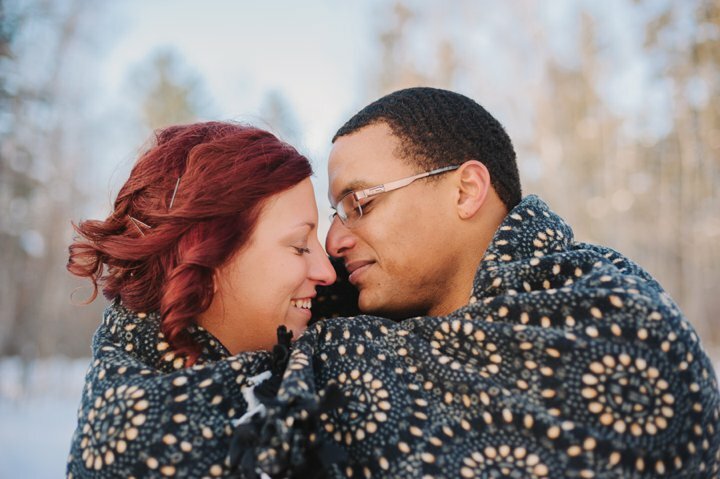 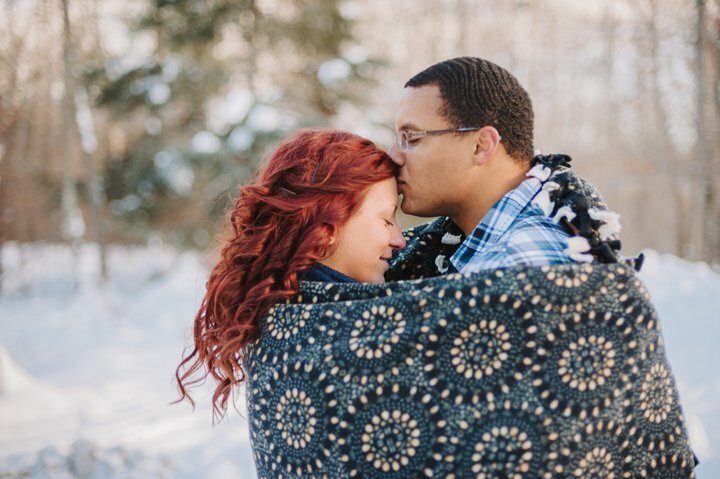 Throw in a great blanket which amps up the cuddle factor and the result are amazing winter photos that highlight Erin and CJ's affection for each other, and their excitement to get married.